Before your applications can interact with Azure Active Directory (Azure AD) B2C, they must be registered in a tenant that you manage. You learn how to register an application in the next tutorial. Make sure that you are using the directory that contains your subscription by clicking the Directory and subscription filter in the top menu and choosing the directory that contains it. This directory is different than the one that will contain your Azure AD B2C tenant. Choose Create a resource in the top-left corner of the Azure portal. Search for and select Active Directory B2C, and then click Create. Choose Create a new Azure AD B2C Tenant, enter an organization name and initial domain name, which is used in the tenant name, select the country (it can't be changed later), and then click Create. 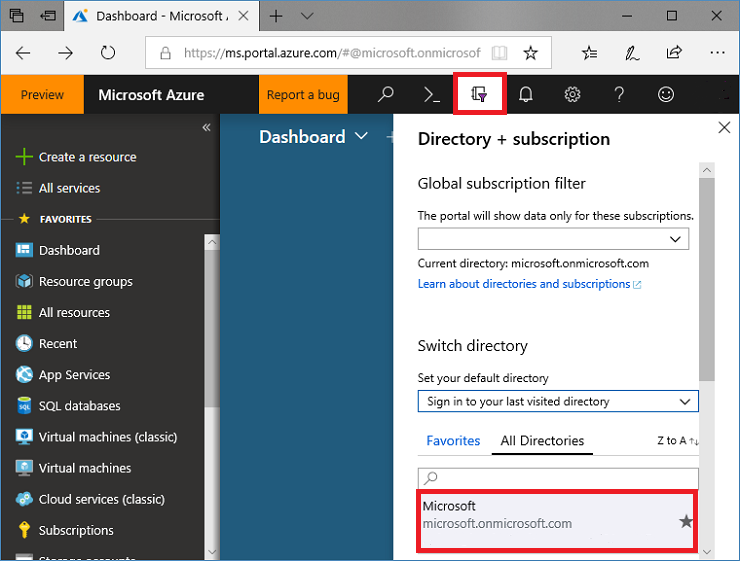 On the Create new B2C Tenant or Link to an exiting Tenant page, choose Link an existing Azure AD B2C Tenant to my Azure subscription, select the tenant that you created, select your subscription, and then click Create new. Enter a name for the resource group that will contain the tenant, select the location, and then click Create. 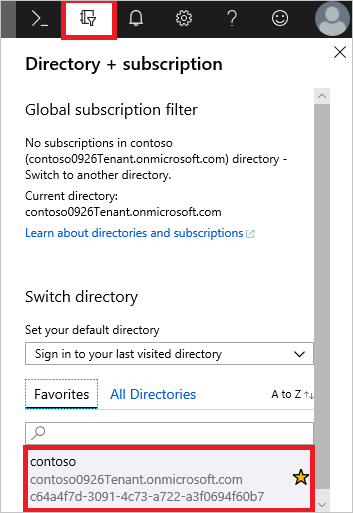 To start using your new tenant, make sure you are using the directory that contains your Azure AD B2C tenant by clicking the Directory and subscription filter in the top menu and choosing the directory that contains it.